Just across Breach Inlet from Sullivan’s, the Isle of Palms offers a similarly relaxed and welcoming beach vibe. 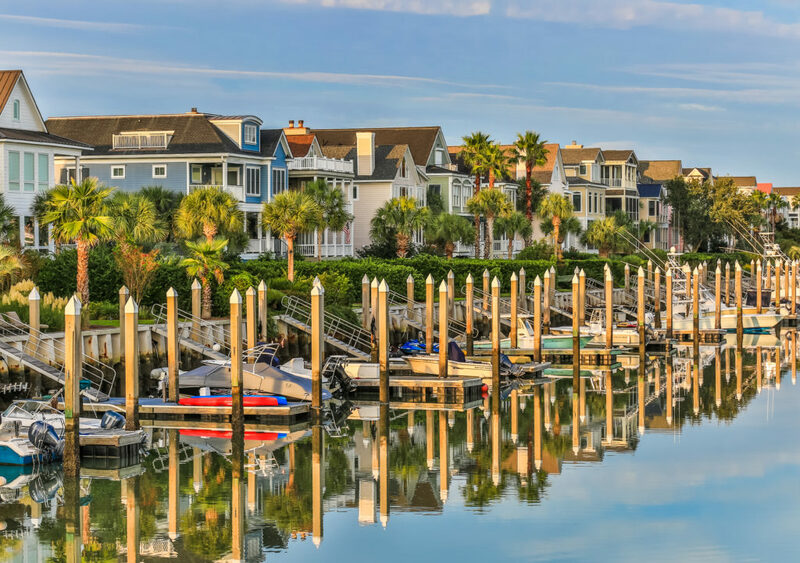 While the Isle of Palms is predominantly residential, it does feature a number of restaurants, bars, stores and businesses in its larger commercial district, as well as a few hotels, a marina and many vacation rental properties. At the northern tip of the island, Wild Dunes Resort is an exclusive private community with two golf courses, a tennis facility and a convention pavilion. The Isle of Palms Connector crosses a breathtaking expanse of the Intracoastal Waterway to join the island with the northern part of Mount Pleasant and convenient access to Highway 17 and Interstate-526.